Find lovely Christmas gift baskets, last minute holiday gift delivery and great holiday gift ideas for everyone on your gift list. With so many fruits & sweets gifts to choose from we've made it easy for you to send affordable holiday gift baskets online. Search our huge variety of Holiday gift selections. 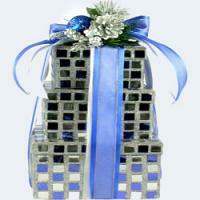 Find perfect Holiday gifts for corporate, business and personal gift giving. Themes include traditional gift baskets, fun containers, holiday gifts, fruit baskets and gourmet gifts. 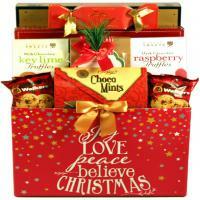 Celebrate this holiday season by sending Adorable Christmas Gift Baskets and Gifts. Our elegant holiday designs make it easy to communicate your special message of friendship, love, and appreciation. Shop at Adorable Gift Baskets for unique Christmas Presents, Gifts, Packages and Holiday Gift Ideas. The Christmas shopping season is right around the corner, and you're frantically trying to find the right gifts for all your friends and loved ones. Make the holidays fun and surprising this year with Christmas gift baskets from Adorable Gift Baskets. Why should you race to the mall and fight the rush when you can quickly purchase elegantly arranged holiday gift baskets right from your home computer? Holiday gift baskets can be securely ordered online at Adorable Gift Baskets and delivered to your loved one's home as a surprise. Or, you can have your holiday gifts shipped directly to you so you'll experience the joy of giving the gift basket in person. For that special someone, include a personal greeting card to let them know how much they mean to you. Another idea is to place a holiday basket under the tree for a family treat on Christmas morning. Get a gift basket that's overflowing with all the gourmet foods or chocolate indulgences your family craves. There is a vast selection of Christmas food gift baskets, each garnished with delicious holiday favorites such as caramel popcorn, chocolate candies, chocolate chip cookies, crackers, truffles, cheeses, dried fruit, peanut brittle, pistachios, and many other fine snacks. At Adorable Gift Baskets specialty gift basket shop online, you'll browse hundreds of finely crafted holiday baskets with various themes and treats for any gathering. Bring gift baskets along to a Chinese auction, or send a Christmas basket to a loved one that lives a long distance from you. 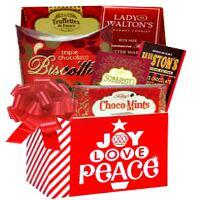 Christmas gift baskets can express thoughtfulness to your employees as a holiday gesture. Treat-filled gift baskets are also great for gift name drawings at holiday family gatherings. Send holiday gift baskets for the Christmas season with red or green bows and ribbons, festive baskets and heartwarming goodies fit for a cold winter's eve. At Adorable Gift Baskets, you can browse our selection of Christmas gift baskets and quickly show your holiday spirit with our affordable offers and fast shipping. Spread the cheer this holiday season with any of our appetizing holiday baskets! Gifts that can be delivered today or within 24 hours. 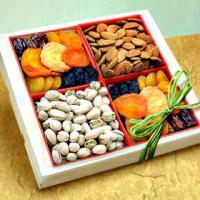 Perfect gifts to send for birthday, get well, sympathy, anniversary, or other special occasion. Elegant champagne gift baskets, professionally designed and filled with premium champagne and delicious gourmet food for your next occasion or holiday. 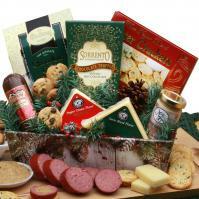 Cheese and wine, fruit and wine plus delicious gourmet food and wine gifts for delivery. An extensive collection of wine baskets for all occasions and budgets. Personalized gifts stand out from the rest turning an ordinary gift into the extraordinary. Engraved gifts have special, true keepsake value.